When we first began unlocking achievements on the Xbox 360 in 2005, they offered a completely new way for you to look at a game: Now there would be a permanent record of your in-game accomplishments to show off. The console was designed to connect to the internet, so your friends could compare their games to yours and see how they stacked up. Maybe their gamerscore was higher, but they didn’t launch that gnome into space in Half-Life 2 or beat Halo 3 on Legendary. Achievements let us stand out in our own way, and they served as a showcase for our tastes and interests. With Microsoft reportedly readying a new line of consoles focused on streaming, and Google’s Stadia platform making big inroads into that market, I think it’s time to go back to the drawing board and either do away with the achievements system all together or, hopefully, introduce features that make playing games on Xbox feel vital again. Aside from the sense of community and rivalry the achievement system established among players, they often offered an entirely new perspective on a how to play a game. Developers could implement them to incredible effect by reframing a game in a new way. You can see this in examples like Mirror’s Edge’s “Test of Faith” – which tasked players with playing the game without using guns – or driving a car to the top of the tallest building for “Roads? What Roads?” in Crackdown 3. The most generic achievements rewarded players for completing the story, but if you enjoyed the game enough to stick around after the credits, it was something truly special when developers included inventive and unique experiences tied to achievements. That still holds true today. The difference now is that as fun as the odd achievement is, I’ve also been unlocking them for almost 15 years, and the satisfaction of earning another 1,000 points just isn’t there anymore. The first step I’d like to see Microsoft take when they release the upcoming “Scarlett” line of console is to completely bring everyone back to square one. While we have all grown attached to our individual gamerscores, that sense of discovery was lost when the Xbox One kept our achievements persistent. While I’d still like to see that legacy number represented somehow on my profile, I think the communal aspect of achievements has been reduced; the feature could be revitalized by bringing the entire community down to zero. This would avoid the situation the Xbox One had where people jumping into the Xbox ecosystem with the Xbox One were obviously starting from scratch, but the majority of their friends or people they met online would already have a long history on display. Of particular significance is the fact that, while you may still be an avid Xbox fan, this generation of consoles saw a large shift in popularity toward the PlayStation 4. This means that there was a huge amount of players that may have built up a large gamerscore on their Xbox 360 only to make the switch to Sony’s console, abandoning that number. At least in my case, I owned both consoles in both generations, but I saw the PlayStation becoming my primary console this time around and my gamerscore has languished as a result. The new consoles are the perfect time to put everyone on even footing again. Sony introduced trophies in 2008 as its answer to Xbox’s achievement system. While that extra few years doesn’t seem like much, it was a lifetime for anyone starting from scratch. Why play the game on PlayStation and earn knock-off achievements when you could be adding to your ever-growing gamerscore? Now, more than 10 years and a whole console generation removed from that divide, Microsoft could really learn from what Sony did in 2008. One of the largest motivators to tracking down achievements was unlocking the full list – having that elusive 1,000/1,000 on your list for everyone to marvel at (or just yourself, most likely). What Sony did to set itself apart was capitalize on that feeling. When you unlock all the trophies in a game, you get a special platinum trophy to easily signify that you’ve completed that list. It turned that sense of satisfaction at a job well done into something easy to identify. They already give a special diamond icon when you unlock an achievement that is particularly rare, but if the icon were instead bolted next to the game to indicate a complete list, it would make showing off your accomplishments much simpler. The rarity tracking on achievements and trophies has been the best new addition to the features this generation. It makes it clearer that you did something very few have done. What could be fun on the new consoles – especially if they bring us all to zero – is to see not only how rare the achievement currently is, but also how many people unlocked it before you. You might often be the millionth person to unlock the first achievement, but when you see one that says you’re only the thousandth person, that would be a neat twist on the same concept. 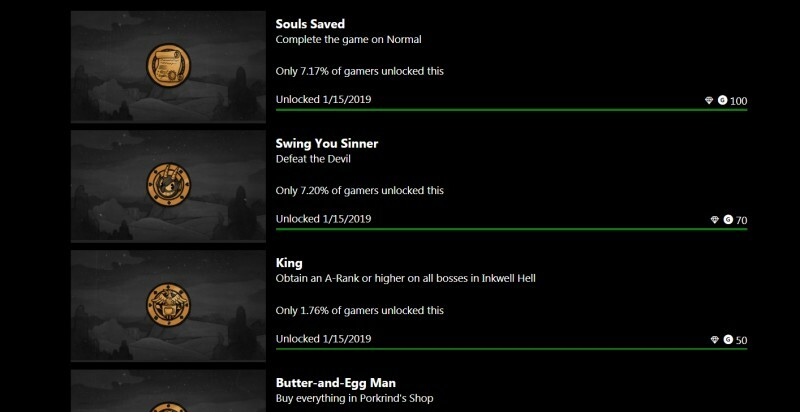 Getting every achievement in a game is a hearty challenge at times, and can often be quite rewarding to look down your achievement list and see which games you’ve 100-percent completed. Where I think this system could grow with the new console is by tying achievements to multiple games at once. Maybe when you look at your list you’ll see the page for Rage 2, but then next to it is a list of achievements that require work in more than just that one game. You could be asked to defeat 100 enemies in both Rage 2 and Doom: Eternal as an example, and only once you’ve completed both tasks would you earn the achievement. These could be separate from the general achievement list, so you wouldn’t have to worry about buying additional games to finish a list, but it could be fun for anyone looking to squeeze a few more hours out of a game. Plus I’m sure developers could come up with some interesting ways to explore the system between their games. Nintendo has always famously shied away from implementing a system-wide achievement analog, but the Wii U took the most Nintendo-like approach to them: stamps. They were only available in 14 games on the system, but were a curious addition. 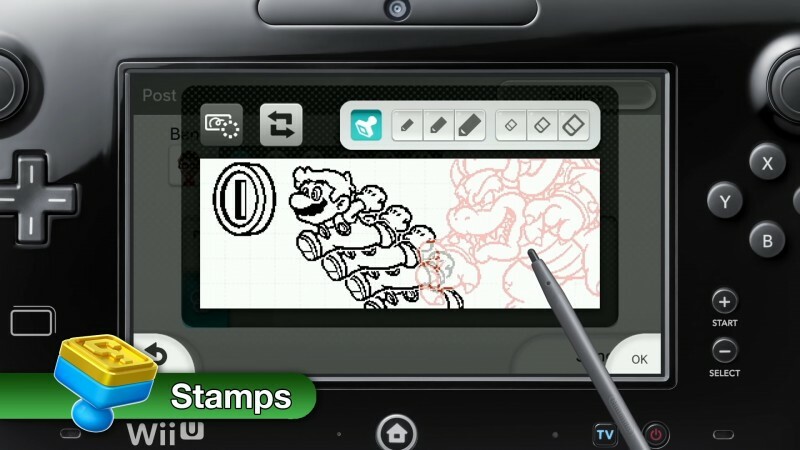 Stamps were hidden items inside the games themselves (in chests in Twilight Princess HD or as hidden collectibles in Super Mario 3D World), but once unlocked, they could be used on the system’s Miiverse community. So, if you found yourself posting in that community, you could spot players using stamps you hadn’t unlocked yet. While unlocking something to communicate in an arcane message board tied to specific game communities might work for Nintendo (or not, as the Miiverse is sadly no longer around), for Xbox, the idea that games could tuck items away in the actual game spaces is fascinating. It might only serve to take you out of the experience in something like Red Dead Redemption II, but I would have loved finding a little trinket for my profile hidden somewhere inside Crackdown 3 or Devil May Cry 5. It isn’t a perfect system for every game, but it’s better than Nintendo’s alternative: to not have an achievement system at all. Regarding the concept of achievements, IGN spoke with legendary Nintendo designer Shigeru Miyamoto about them in 2009 and he said, “I’m not a big fan of using the carrots to motivate people to play. I want people to play because they enjoy playing and want to play more.” While I understand and appreciate where he is coming from – and I don’t mind the lack of an achievement system on Switch – there is still something special about that drip of serotonin I get from completing a task and being rewarded for it. Ubisoft Club is something I’ve always just put up with; it primarily tied into Ubisoft games (as you’d expect) and its offerings were meek. The premise of the program was sound, though: You unlock your standard achievements, but some of them unlock “units” that players can spend on special bonuses. It could range from an upgraded weapon in Assassin’s Creed to wallpapers from The Crew, if you wanted that for some reason. The Club’s value is questionable, but in the context of achievements – and if Microsoft were to bring back some form of digital goods as rewards – it seems completely within reason to allow you to spend some of those points in exchange for rewards. You just got 300 points in Halo Infinite? Spend some to unlock a special emblem for your profile or a mini Warthog for your avatar. Microsoft could take it one step further and simply attach game rewards to specific achievements, so you wouldn’t need to spend points on rewards. Maybe when you unlock a particular achievement, in addition to 10 achievement points, you unlock an in-game reward like an outfit, weapon, or even concept art. Whatever developers decide to attach to these achievements, it could give developers extra ways to encourage players to approach the game in specific ways. Games could theoretically do this now but integrating it into the achievement system would give them added weight, and looking at a friend’s achievements and seeing that they earned some cool item for completing a task would be great extra incentive. One of the weakest achievement-like features is on Steam. They function similarly to Xbox and PlayStation, but they offer little fanfare and even less of a reward in unlocking them. What is more interesting on Steam, though, are the trading cards. Steam trading cards are unlocked as you sink more time into a game up to a certain limit when you’ve reached a certain number of total cards per account. A game may have 10 total cards, but after unlocking your final card, you’ll only have roughly half of them. With your account reaching its maximum allotted cards for that game, this means you have to trade cards with other players. Because you can earn duplicates, it incentivizes that trading economy. Being able to trade with other players would be an excellent opportunity to build that sense of community around achievements. Ideally you wouldn’t trade with players who hadn’t played the game at all, as that would defeat the purpose of these items, and, more importantly, it would eschew the real money trading economy Valve has in place for its cards. By keeping the system away from that muck, it would give players more reason to compare their achievements with friends, which was a large draw in the first place. Better yet, to really change how these are applied, these cards could be tied into achievements in much the same way I suggested they attach in-game rewards above. You beat chapter 2? Here’s your Banjo-Kazooie card (I’m just being hopeful here). What they do with those cards then is where Microsoft really has an opportunity: I’d love to see them implement a system-level trading card game (think Hearthstone) where new cards are tied into achievements. 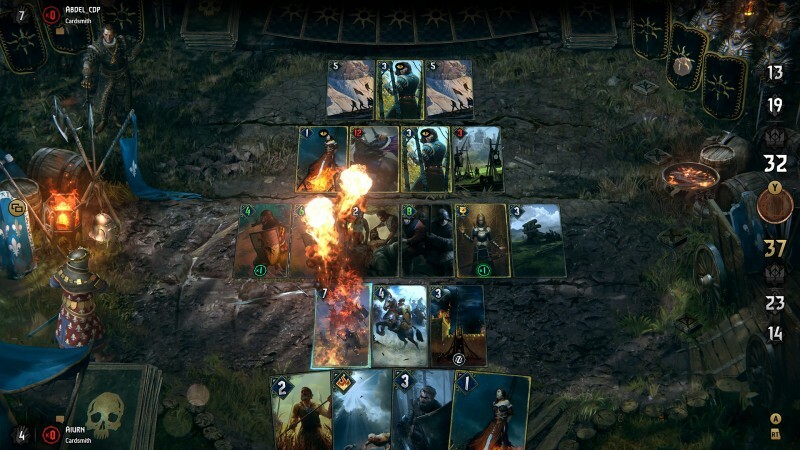 The card game would be pre-installed on every console and to build different decks would only require you to play other games. This serves as both a great feature for people who love TCGs, but it also means that if you’re playing the card game and come up against someone with a cool Marcus Fenix card, you’ll want to play Gears of War and come back with a better deck. Plus it’s always a good idea to have a pack-in game. Microsoft started something that felt revolutionary 15 years ago, and if it doesn’t take inspiration from its competition, then I hope it can come back with a more dramatic retooling of the experience that’s already there. I still think achievements have some legs, but I worry that if they stay exactly the same going forward, then we risk a future where achievements are merely a footnote in Xbox history. 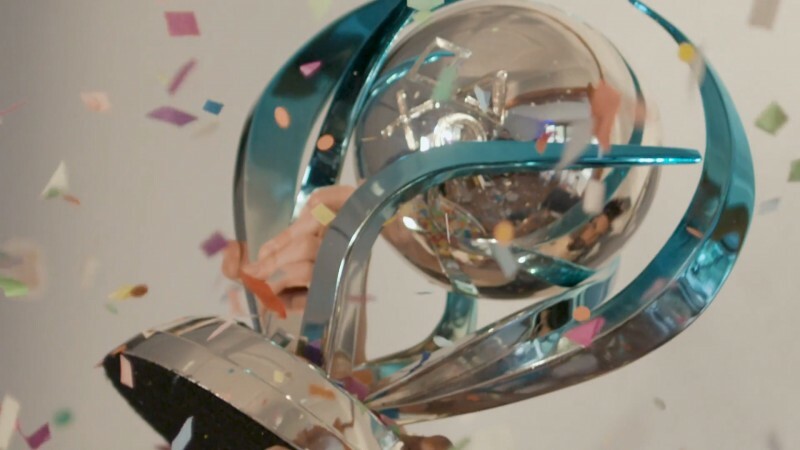 Check out the best achievements and trophies of 2018 as well as a growing list of the easiest achievements to unlock. You can also read up on Xbox Live and achievements showing up on Switch with Microsoft and Nintendo’s growing collaboration.